Misuse or abuse of amphetamines may cause serious (possibly fatal) heart and blood pressure problems. Amphetamine-type medications can be habit-forming. Use only as directed. 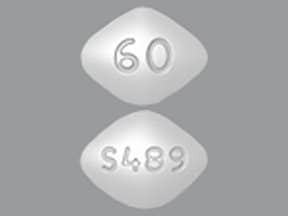 If you use this drug for a long time, you may become dependent on it and may have withdrawal symptoms after stopping the drug. Consult your doctor or pharmacist for more details. (See also How to Use section. Tell your doctor right away if you have any serious side effects, including: blurred vision, fast/pounding/irregular heartbeat, mental/mood/behavior changes (such as agitation, aggression, mood swings, depression, hallucinations, abnormal thoughts/behavior, suicidal thoughts/attempts), uncontrolled movements, muscle twitching/shaking, signs of blood flow problems in the fingers or toes (such as coldness, numbness, pain, or skin color changes), unusual wounds on the fingers or toes, outbursts of words/sounds, change in sexual ability/interest, swelling ankles/feet, extreme tiredness, rapid/unexplained weight loss, frequent/prolonged erections (in males). Get medical help right away if you have any very serious side effects, including: shortness of breath, fainting, chest/jaw/left arm pain, seizures, weakness on one side of the body, slurred speech, confusion, sudden vision changes. List Vyvanse side effects by likelihood and severity. Before using this medication, tell your doctor or pharmacist your medical history, especially of: blood circulation problems (such as Raynaud's disease), certain mental/mood conditions (such as severe agitation, psychosis), personal/family history of mental/mood disorders (such as bipolar disorder, depression, psychotic disorder, suicidal thoughts), heart problems (including irregular heartbeat, coronary artery disease, previous heart attack, heart failure, cardiomyopathy, problems with heart structure such as valve problems), family history of heart problems (such as sudden death, irregular heartbeat), history of stroke, high blood pressure, overactive thyroid (hyperthyroidism), a certain eye problem (glaucoma), seizures, kidney disease, personal or family history of a substance use disorder (such as overuse of or addiction to drugs/alcohol), personal/family history of uncontrolled muscle movements (such as Tourette's syndrome). If you miss a dose, take it as soon as you remember in the morning hours. If it is afternoon or near the time of the next dose, skip the missed dose and resume your usual dosing schedule. Do not double the dose to catch up. 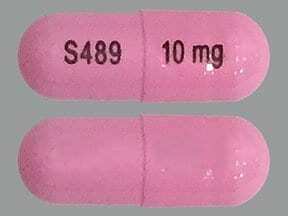 This medicine is a pink, oblong, capsule imprinted with "S489" and "10 mg". 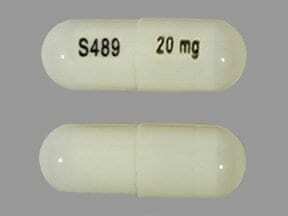 This medicine is a ivory, oblong, capsule imprinted with "S489" and "20 mg". 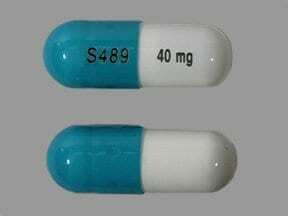 This medicine is a white blue-green, oblong, capsule imprinted with "S489" and "40 mg". 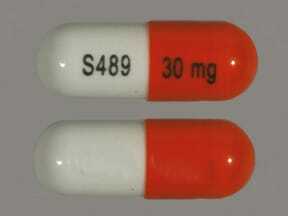 This medicine is a orange white, oblong, capsule imprinted with "S489" and "30 mg". 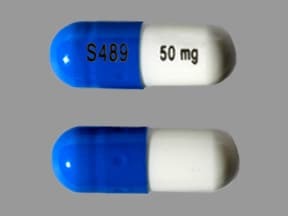 This medicine is a white blue, oblong, capsule imprinted with "S489" and "50 mg". 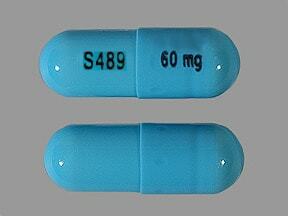 This medicine is a aqua blue, oblong, capsule imprinted with "S489" and "60 mg". 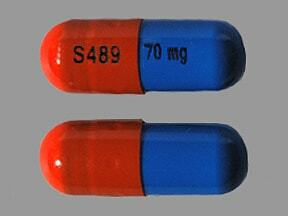 This medicine is a orange blue, oblong, capsule imprinted with "S489" and "70 mg". 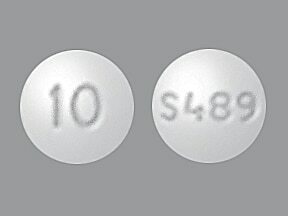 This medicine is a white, round, strawberry, chewable tablet imprinted with "10" and "S489". 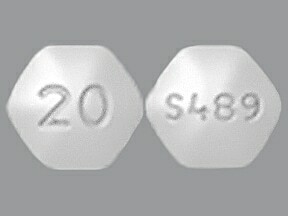 This medicine is a white, hexagonal, strawberry, chewable tablet imprinted with "20" and "S489". 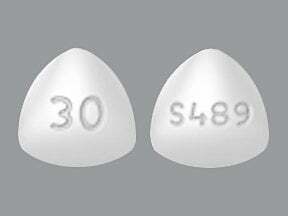 This medicine is a white, triangular, strawberry, chewable tablet imprinted with "30" and "S489". This medicine is a white, oblong, strawberry, chewable tablet imprinted with "40" and "S489". 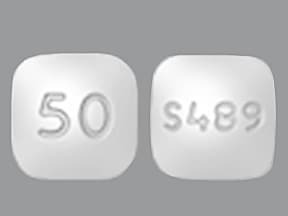 This medicine is a white, square, strawberry, chewable tablet imprinted with "50" and "S489". 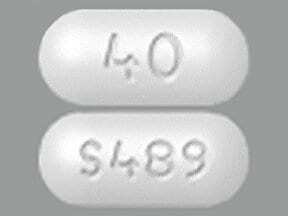 This medicine is a white, diamond, strawberry, chewable tablet imprinted with "60" and "S489". Are you considering switching to Vyvanse? How long have you been taking Vyvanse? Why Are ADHD Meds Controlled Substances?